Venice Italy, just 40 minutes from Vicenza, offers numerous cultural events and festivals throughout the year. In addition to the Guggenheim Museum, there are plenty of art exhibitions at Museo Correr, Palazzo Grassi and the Accademia di belle arti. One of the most important festivals is the Biennale d'arte which is held at the Giardini di Sant'Elena. The Biennale art festival draws well known artists from all over the world. 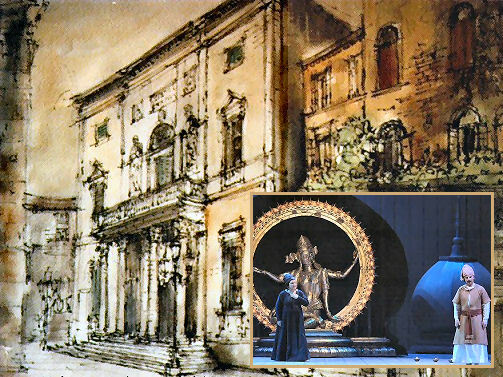 The music season in Venice is spread out among historic theaters like La Fenice and Malibran, offering classical music, opera and ballet all year, with the participation of artists such as Lorin Maazel, Eugeny Kissin, Maurice Bejart and Placido Domingo. And of course the city of Venice itself is a museum of sorts, with its magnificent squares and architecture like the Basilica in San Marco among others.